At approximately 9:10 p.m. last night, June 18, 2018, several Buellton residents reported seeing a green truck driving away after striking several cars on Valley Dairy Rd. At least one vehicle was heavily damaged. A vigilant citizen directed Deputies to a motel in the 500 block of Avenue of the Flags where they had seen the suspect vehicle. The driver of the vehicle, 37-year-old Stuart McInnes of Buellton, was contacted by deputies at the motel. Deputies conducted a driving under the influence (DUI) investigation. Their investigation revealed that McInnes’ blood alcohol content was more than twice the legal limit. 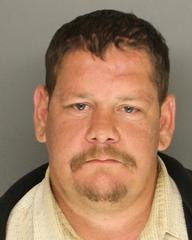 McInnes was arrested and booked into the Santa Barbara County Jail for driving while intoxicated. Fortunately, no one was injured during this incident. The Sheriff’s Office would like to thank the Buellton community members who helped locate this driver. Their diligence likely prevented more damage and possible injury. 5445: FYI. 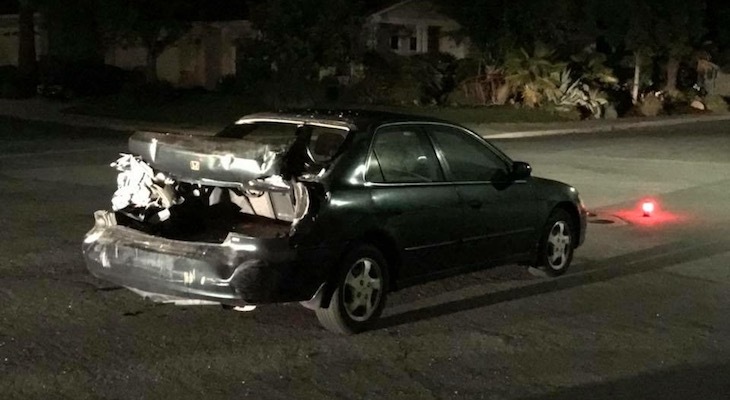 This guy was driving drunk at 9PM on a week night and fled the scene. His "accident" was caused by love of liquor. He blew TWICE the legal limit and you think this is some "one time" occurrence? FYI (again) I never said this particular person was not an "addict," just that not all DUIs are by alcoholics (it's some logical reasoning, try it). All it takes is your first time drunk and then making a bad decision to drive. And yes, that might be at 9pm on a week night. Sweden and Norway: 0.02 is the legal limit. 0.05 means jail. Repeat offenders lose their vehicle. Some Nordic country--forget which one--takes away the driver's license and impounds the vehicle of those involved in DUI accidents. I don't know whether it's the first time or the second or any of the details (do you have to pass a blow test to be able to start the car if it's returned? They keep it?) but something on that order is overdue here. Drunk drivers repeatedly cost time & money and inflict personal injuries that often result in lifetime health problems, being maimed or dead. Jail time doesn't stop their addiction or keep them off the roads. Just FYI - not all drunk drivers are "addicts." Many (such as a friend of mine a long time ago) simply made a bad decision to drive after having a couple drinks. Not an alcoholic at all, hardly ever drank. All it takes is one time and one bad mistake. Thank you to the vigilant citizens who helped nab this drunk. Looks like he needs to spend some time in the pokey and get his act together. Agree. I hope for Mr. McInnes sake this is the wake up call that potentially saves his life and others. Oh My How rare another Drunk DUI Driver how very shocking!